NoDec® WIZARD is a unique 3 cell-cycle ‘zero pressure’ dynamic support surface that provides both pressure injury prevention and reduces the risk of infective chest complications in completely immobile patients. The mattress design of NoDec® WIZARD is based upon unique V-shaped air-cells which provide complete pressure elimination. 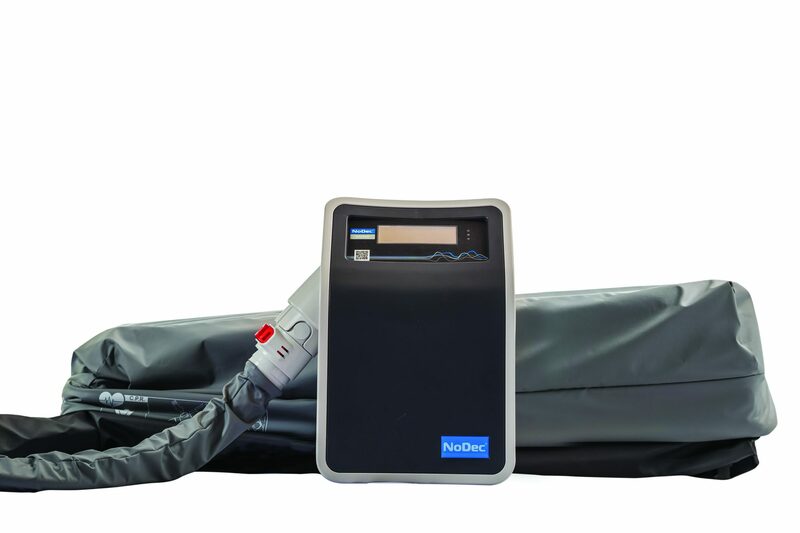 The NoDec® WIZARD offers three different ‘therapy methods’ in one system – a 3 cell-cycle alternating zero pressure air-mattress, a lateral rotation mattress and a combined 3 cell-cycle alternating zero pressure cycle air mattress with lateral rotation functions. The tilt function provides lateral rotation therapy on either a continuous or a programmed 6 hour basis. The slow and controlled tilt transfers body support laterally changing contact points, as well as assisting with pulmonary functions and reducing manual handling. 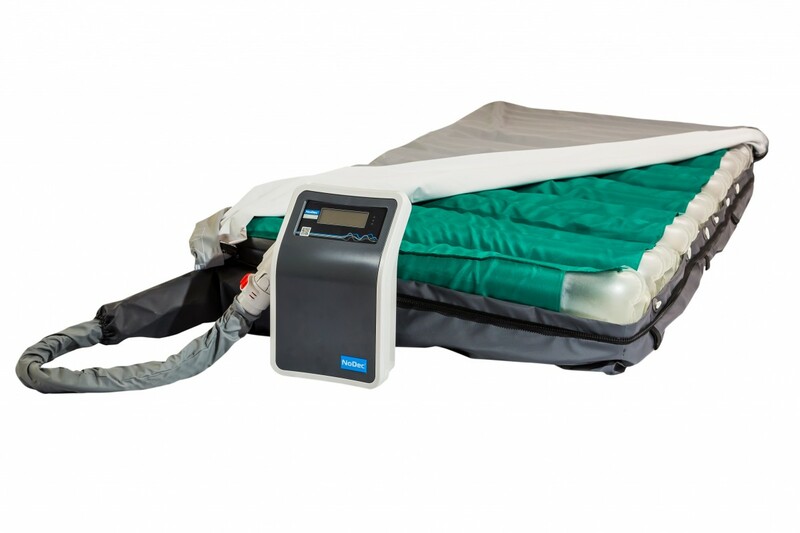 The mattress also uses solenoid valves to increase airflow efficiency in and out of the cells, whilst vacuum assisted deflation quickly reduces interface pressure over the off-loaded cells to create a reactive hyperaemic response in the deep tissues surrounding the bony prominences. 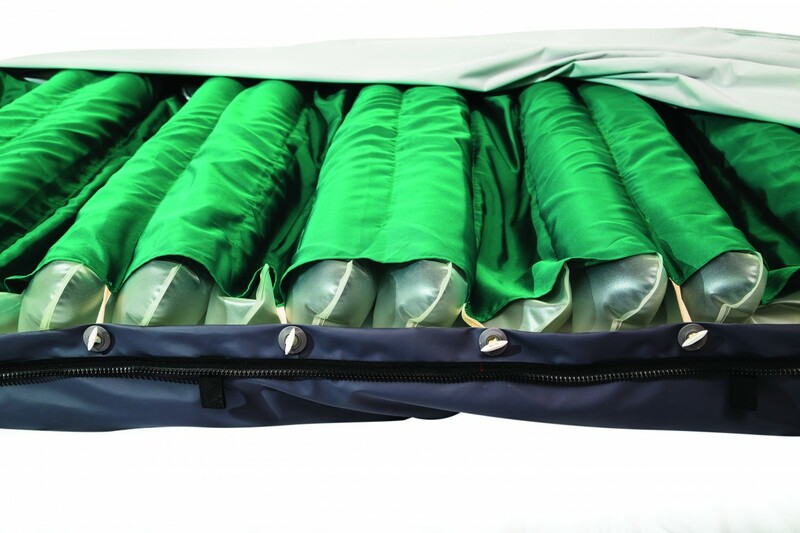 The NoDec® WIZARD mattress has 20 arrow shaped air-cells placed transversely with two reinforced, permanently inflated cells running lengthwise at the edges to protect against patient falls and assist when transferring from bed. Selecting a lateral rotation program gently inclines the patient left or right and the permanently inflated cells act as protective bolsters keeping the patient away from the mattress edges.